There are no messages on Otaku108's profile yet. Old school gamer, long time fantasy novel reader, and perpetual philosopher. Books, movies, TV, anime, manga, light novels, web novels. If it's got a good story, I'll consume it. 4' 2" body made mostly of Iron Wood and framed in a silvery type of unknown metal. Two eyes of Emerald set into a face that looks barely humanoid. No nose, or ears, it's apparent that his creator cared little for aesthetics. Hands and feet ended in cat like claws that could be retracted when not needed. <Claw Handed Fighting Style> Level 1: Has basic hand to hand combat skills. <Spell Craft> Level 1: Has basic knowledge of low level spells and spell craft. <Rune Craft> Level 1: Has basic knowledge of runes and rune craft. <Craft Wondrous Item> Level 0: Has begun to understand magical items, their usage, and how they are created, but cannot create them yet. - Book: Spell Craft for Dummies. - Book: An Idiot's Guide to Runes. Lucas was originally from Earth, but due to a birth defect of the heart he died on the operating table before he was even 17. He woke up one day inside a summoning circle as a simple soul with a crazy mage that peppered him with questions and doubt. Apparently the mage was trying to summon a named demon that he had purchased information on but got Lucas instead. 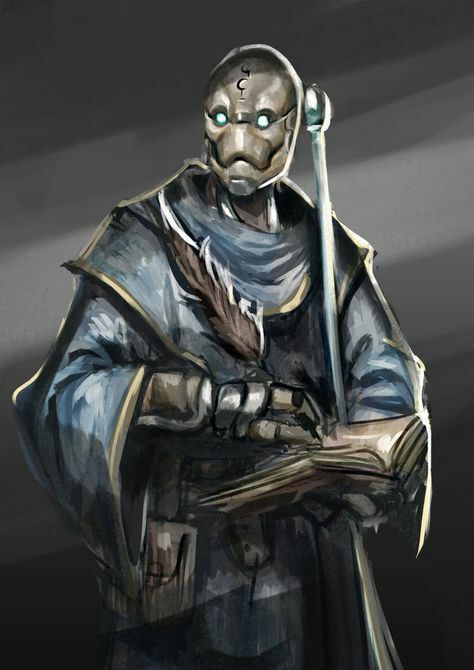 Originally the artificial body he was put into was meant to be the mage's bodyguard and the mage was severely put off by the circumstances but kept him as a research subject and servant. Lucas spent the better part of half a year learning spell craft from the mage's library during the night when the mage was asleep or out buying materials. It wasn't until months down the road Lucas determined that the mage was just a complete incompetent and had drawn the circle incorrectly. Lucas also discovered that names were significantly important when binding souls and because the mage didn't have Lucas' full name he couldn't bind him properly to his will. After the crazy mage had enough materials and more information he was ready to try again, creating a second artificial body and attempted a new summoning. The second body that the mage created looks exactly like Lucas but the eyes were made of Ruby gems instead. Lucas had never bothered to correct the mage's erroneous circle and so of course the second try was also a failure to some degree. Unfortunately he had managed to summon a devil this time instead but because of the error in the circle it escaped and murdered the mage. Lucas managed to trick the devil into believing he was a lower tier devil himself and was trapped in the body. The devil inhabited the other body and claimed the mage's place for himself, kicking Lucas out under orders to bring humans to torture and kill. Lucas had already been planning an escape for a while and so he grabbed the few things set aside before and left as fast as possible. Once outside Lucas discovered that the entrance was in some caves, the dark miasma covering the floor made him thankful he could no longer smell. As luck would have it there was a light coming from one end of the cave so he knew where to go to get out. However it wasn't but a few feet before he found himself in danger when a shambling zombie came out from a side tunnel and attacked. Terror enveloped him but soon dulled out, still, it caused his movements to be sluggish and uncoordinated for a time. Then he discovered that his claws, which had extended on their own, weren't really doing much damage, or the zombie didn't seem to care about the superficial scratches he was leaving on the putrid flesh. Eventually he tried using his magic to imbue the claws with various elements settling on fire when the zombie literally screamed after the attack. Not desiring to spend too much time anywhere near the devil inside the caves, Lucas set out to try and find some civilization. It didn't take him long to find a small village near a lake but he hesitated here unsure how to approach people given how he looked. He wasn't sure who was more stunned, himself or the half-orc farmer staring at him when he eventually made his way into the outskirts. After a brief staring match the two started by introducing themselves and the half-orc, upon hearing the story, took Lucas to see the village chief. The old timer wasted little time after hearing the story too and penned a quick letter of introduction and job request for the Adventurers Guild. Obviously having a devil nearby with a penchant for human souls was a bad thing. Given the letter and a small map Lucas spent a few days on the road working his way towards the town of Nagrand. It wasn't that he was far away, but he met with a few minor monsters like goblins and kobolds along the way, taking the chance to hone his combat skills before finally arriving at the guard station. The guards, obviously suspicious of the weird looking metal and wooden doll that walked and talked on it's own eventually let him through after reading the letter of introduction. Lucas was scared, but even that fear lent him some comfort that he wasn't totally lost. His time spent alone had shown him that his humanity was slowly slipping away from him. He wasn't sure but he felt that it wouldn't be too long before he was but a golem with no will of it's own. He was shaken from his thoughts when he found himself already inside the Guild's reception area. A girl with cat ears sitting behind the counter stared at him as he stared at her with his head slightly tilted to one side. It quickly became obvious that he was annoying her with his rude stare and he hurriedly made his way to the counter. "I'd like to register as an adventurer, also I have a job request from Lakeside Village's chief. A rather idiotic mage died after summoning a devil and it's still over there in the undead caves." he says with his artificial sounding voice as he hands over the letter.